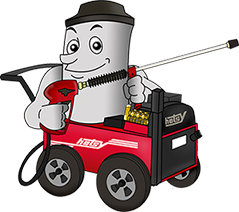 William Ayscue has been the go-to supplier of Hotsy pressure washers for Eastern NC and Southern Virginia since January of 1986. Originally from Bertie County, Ayscue served as a technician and salesman for Hotsy Carolinas based out of Charlotte, NC for five years. After getting licensed as an authorized Hotsy distributor at a Hotsy training school in Colorado Springs, CO, Ayscue became Hotsy dealer for the northeast North Carolina territory in January of 1986. Although the Hotsy training school was a valuable resource, most of William’s training was learned “on the job”. Hands-on experience and problem solving are two of William’s greatest strengths – you won’t find a more knowledgeable cleaning expert!